According to a recent statement made by the United Nations Office on Drugs and Crime money laundering accounts for around 5% of global GDP, a staggering £1.5 trillion a year. As a result banks and law enforcement are now starting to explore how artificial intelligence (AI) may be able to help combat the problem. For the uninitiated money laundering is the process of ‘cleaning’ illegally obtained cash by passing it through a complex multi-layered series of apparently legitimate enterprises, buying property or any other assets that can then be sold on. One of the newest laundering methods is ‘smurfing’ whereby criminals use specialist software to systematically make a high volume of transactions so small that banks miss them. As some of these deposits are only for 25-50 cents, they are undetectable to the human eye but if the programme is set up to make hundreds of millions of those deposits, the total can quickly add up to tens of millions of dollars. Much of the money being laundered is being reinvested into funding even more serious criminal activities. A recent ATM scam forced various machines across 40 countries to give out 5 notes at a preordained time so that the money could be picked up by ‘mules’ who would earn a percentage for their troubles. The scam netted the criminals behind it almost £855m which was then promptly exchanged into Bitcoin and used to finance a wide scale human trafficking operation. HSBC recently said to the press that they believe less than 1% of the ‘dirty’ money being laundered via the international banking system is being found and, as a result, criminals are becoming more ambitious and the amount of money being flushed through is increasing fast. During 2018 Suspicious Activity Reports by 10% in 2018 in the UK Alone according to the National Crime Agency. As the problem continues to escalate the FBI has now publicly committed to employing "applied technical enhancements" to help keep up with the latest fintech innovations. While the FBI obviously can’t say what those enhancements are, commercial organisations are being more open about the steps they’re taking. HSBC have said they are trying to work out how to employ AI to plough through mountains of data – including not only banking records but also emails, phone calls and other relevant reports - to identify suspicious activity and spot imperceptible deposit and withdrawal patterns humans simply wouldn’t be able to. And once the system has learned those patterns, it will progressively become even more adept at spotting suspicious activity in the future. If get this right, it should have a profound effect on smurfing but the benefits to a bank aren’t limited to simply thwarting criminals, AI should also be able to unsettle any internal collusion as the tech would automatically take the responsibility for spotting suspicious activity out of the hands of any employees being paid to deliberately looking the other way. This is also an increasing problem and over the last few years many of the world’s biggest banks have found themselves involved in money laundering scandals in recent years including UBS, ING and Danske Bank. However, probably the most worrying case involved Latvia’s third largest bank ABLV Bank AS. They had to be wound up after US authorities found the bank had helped process illicit transactions for entities with alleged ties to North Korea’s ballistic missile program, transactions that are not only highly illegal but also in direct contravention to existing European sanctions. As money laundering becomes more widespread and higher and higher sums become involved it is even more essential that all businesses stay attuned to the possibility their organisations are being used by criminals to launder their cash. If you suspect you may have been used or if someone has accused you of being involved in money laundering, we are here to help you. As specialist and highly experienced litigators we understand how things are likely to play out, first during the litigation process and then – if it comes to it – in court because we have been there many times before to support clients who have found themselves in exactly the same predicament. We will use all of our understanding to design the strategy you’ll need to minimise the length, cost and stress of the required litigation so you can get back to business as usual as quickly as possible. 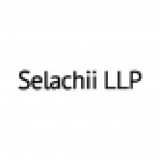 If you are facing any issues relating to or a potential dispute involving money laundering, please call us today on 020 7792 5649 or email us at info@selachii.com.